TPG and Vodafone Australia are set to hand over more than $1.5 billion after pitching winning bids in the government’s latest mobile spectrum sell-off. The Australian Communications and Media Authority’s (ACMA) auction of unsold 700 MHz spectrum bandwidth lots began on 4 April. The 700 MHz spectrum that was up for grabs adds to the spectrum sold at auction in 2013, which is already being put to use by the country’s largest telcos to provide 4G mobile broadband. After almost a week of strong bidding between three telecommunications companies, the auction wrapped up on Monday 10 April, garnering the government revenues of $1.55 billion, exceeding the reserve price of around $857 million. The winning telcos were TPG Internet, which secured 2 x 10 MHz for $1,260,161,000, and Vodafone Hutchison Australia, securing 2 x 5 MHz for $285,907,000. In addition, Vodafone confirmed that it has accepted the ACMA’s offer to renew its 2100 MHz spectrum for $544 million, including 2 x 25 MHz in Sydney and Melbourne. 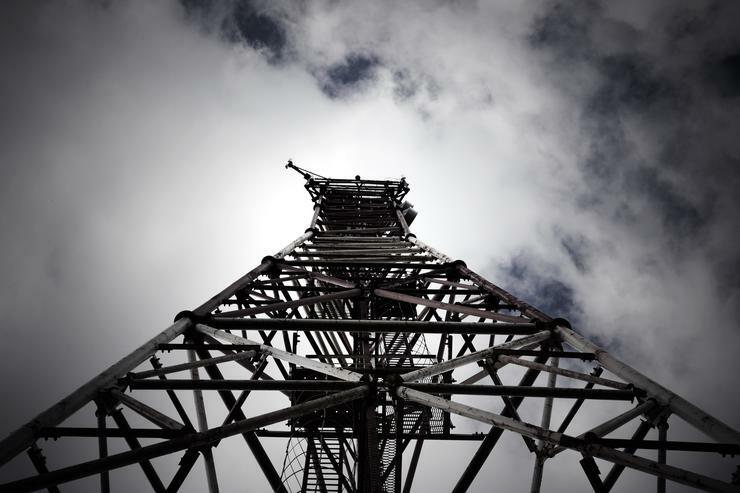 Fellow telcos, Telstra and Optus, which both snapped up 700 MHz spectrum bandwidth in the ACMA’s 2013 mobile spectrum auction, were not among the winning bidders this time around. This is likely due to competition limits for the latest auction limiting any one party to 2 x 20 MHz in the 700 MHz band, including holdings from the 2013 auction. For acting ACMA chairman, Richard Bean, the sale of the remaining unallocated portion of the 700 MHz ‘digital dividend’ spectrum brings an “important chapter” in Australian economic reform to a close. “It completes the digital dividend process begun in the 1990s, with the progressive conversion of free-to-air television from analog to digital technology enabling much better TV and a massive boost to high-speed wireless broadband in Australia,” Bean said. “This additional spectrum will help industry meet ever-increasing demand for high-speed wireless broadband. The public has realised record rates of return from the sale, and should now benefit from the services this 700 MHz spectrum can provide,” he said. Licences for the 700 MHz band have a term of 11.75 years, and will commence on 1 April 2018, expiring on 31 December 2029, in alignment with the expiry date for licences issued after the 2013 digital dividend auction. The winning bidders can make a choice to pay the winning price by 31 January 2018 as one amount, or in three annual instalments commencing in January 2018. The government threw open the door for local telcos to begin the process to bid for the country’s unallocated 700 MHz mobile spectrum bandwidth licences at the beginning of the year. The ACMA’s move to auction off the spectrum remaining from the 2013 auction, which saw the government reap around $2 billion from successful bidders, Optus and Telstra, followed a decision by the government that unsold spectrum should not be sold directly to Vodafone, as had previously been proposed by the telco. Meanwhile, the latest bandwidth allocation firmly cements TPG’s position as a mobile player in the local market. The company, which has a history steeped in fixed-line telecommunications services, has been making substantial inroads into the mobile space. In December, TPG acquired all of the mobile spectrum available in a ‘New Entrant Spectrum Auction’ carried out by Singapore’s Infocomm Development Authority (IDA). In early April, the company announced it had paid SGD$23.8 million ($22.5 million) for an additional for two lots of 5MHz of spectrum in Singapore, in its push for mobile network presence in the country. TPG has since told shareholders that it plans to spend around $1.9 billion to build a mobile network in Australia, comprising of $600 million for network rollout capital expenditure over a three-year period in a bid to reach 80 per cent of the Australian population, and the $1.26 billion it is paying for the fresh mobile spectrum. “This acquisition of 700MHz spectrum in Australia is a tremendous development for the long-term future of TPG,” said TPG executive chairman and CEO, David Teoh. “We are uniquely positioned to leverage our success in the Australian fixed-line broadband market to drive the next phase of growth for TPG’s shareholders and bring new competition to the Australian market," he said.